The Bristol and Bath region has been championed as a world-leading centre for innovation in hi-tech, creative and digital media in a major new report. The Centre for Cities/McKinsey & Company survey, which analysed industry clusters across the globe, pinpoints the West of England’s diverse combination of industries and strong networks as key to its success. The cluster spans electronics manufacturers, animation and computer graphics firms, as well as digital start-ups and university spin-out businesses. This melting pot ranges from larger players such as Aardman Animations, HP and Toshiba to small 3D printing and robotics technology start-ups in what has been described as “a lively ecosystem of enterprise”. 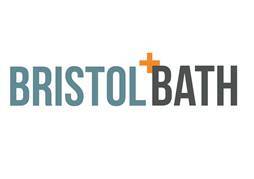 Specialist hubs such as Bristol & Bath Science Park, Watershed on Bristol Harbourside and the Engine Shed at Bristol Temple Meads are also highlighted as a vital component of this thriving cluster, along with networks which connect talent, companies, universities and investors across sectors. The report is the latest to highlight the area as a powerhouse of innovation and creativity. It recommends more Government investment in clusters such as the West of England’s to stimulate growth in the UK economy. Chair of inward investment agency Invest Bristol & Bath Prof Joe McGeehan, who is also a special advisor to Toshiba, said: “It is this diversity of connected sectors, skilled workforce, world-leading academic research and brilliant quality of life that make Bristol and Bath so distinctive and attractive. As well as being a major contributor to economic growth, clusters are also an important source of well-paid jobs and bring wider business advantages such as a strong understanding of customer demand and support for innovation. As a result, they attract further investment and talent, the report says. Invest Bristol & Bath has recognised the strength of the cluster, which is a major ‘selling point’ for the region helping to secure a flurry of investment and interest from national and international hi-tech firms wanting to establish a base in the area. Recent inward investment announcements have come from Chinese telecoms giant Huawei, which is setting up a research and development facility in Bristol; Somo, the largest independent mobile solutions company, which has chosen Bristol as a base for a specialist engineering centre; and digital solutions company Kainos, which has opened an office in the city. Meanwhile, earlier this week leading online takeaway service Just Eat revealed plans to expand its technology development by opening a new specialist hub in Bristol. However, the Centre for Cities report highlights a range of barriers to the development of a successful cluster, including the challenge of securing recognition on a global stage. Prof McGeehan said setting up Invest Bristol & Bath just over a year ago to promote the region at a national and international level had already paid dividends. Backed by funding from the Government’s Department for Business, Innovation & Skills, it has created more than 700 jobs in the past year. And Bristol & Bath Science Park chief executive Bonnie Dean said: “It is the collaborative approach of Bristol and Bath’s technologists, business leaders and academics, combined with its rich network of interlinked, complimentary sectors that make the tech cluster here particularly successful. Firms making up Bristol & hi-tech, creative and digital media cluster are global leaders in areas as diverse as animated films, ‘big data’ and the world’s smallest drones. The Centre for Cities/McKinsey & Company report was published on the same day as West digital and hi-tech start-ups took part in a pitching competition to an audience of 50 national investors at the Engine Shed, the innovation hub and home to SETsquared, which was last week named as Europe’s top university business incubator and second best in the world. Bristol Business News will have a full report on the Silicon Gorge pitching contest next week.